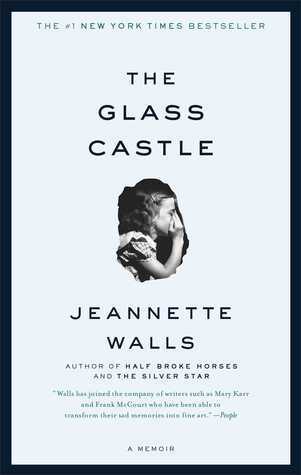 Everyone has been raving about Jeanette Walls' The Glass Castle and the recent movie of the same title. One of my book club friends invited me to see the movie. Being the true reader that I am, I had to read the book before seeing the movie. Since I only had six days, I opted for the audiobook format that exponentially increases my reading time because it allows me to "read" while driving. I would like to preface this review by saying I am definitely not discounting the trauma that Ms. Walls' endured growing up nor am I not acknowledging the fact that she (and her siblings), indeed, picked herself up by the bootstraps and made something of herself after growing up in a less than ideal home(s). However, I don't enjoy the same excitement as everyone else. The book, told in a journalistic style, seems to be more of a regurgitation of facts. This is not surprising, knowing the author's career began in journalism. I really didn't find much creativity in her writing style. It was more 'this happened' then 'that happened' in chronological order, whereas when I listened to Trevor Noah's Born a Crime, I stayed engaged because his stories were more thematic rather than a basic re-telling of the facts. There wasn't a lot of "why," and maybe because she doesn't know. There also wasn't a lot of imagery. I felt like the book was more a window into her family's dysfunctional lives. And really, no judgement here. It is my belief that all families experience some level of dysfunction. The Walls maybe a little more than others. But why would she want to share such things? It was almost like reading (or listening to) a celebrity reality TV show. Now knowing that Walls used to be a celebrity gossip columnist, this makes sense. I know much of society enjoys peeking into other's lives and watching the dysfunction of a celebrity's (and regular ole Joe's) families. I've never been a fan of reality television. This book seems to play into that with the author sharing all the negative details of her, her family's, and her community's daily lives. There wasn't much light in this book, and perhaps that's because there wasn't much light in Ms. Wall's life. But what I don't understand is why she thought it would be helpful to memorialize her very sad and pitiful childhood in this way. My other issue with the book is the veracity of, not her stories I believe these things happened to her, but of how she was able to restate what happened in such great detail including dialogue. It just seems difficult to believe that in 2006 (when the book was published), she remembered what she said at 10 years old and then how her father or her schoolmate responded. I can't remember verbatim what I said to my mom yesterday much less 20 or 30 years ago. I think she could have told and illustrated her stories without the conversation filler that was probably remembered more by how she felt during the conversation and less by the word-by-word dialogue. Recommendation: Walls had a story to tell, and she shared it with the world. It's garnered rave reviews and popularity. I know I am in the minority, but I just didn't enjoy it as much as others. Thank you for this review. I had this on my TBR pile, but it doesn't sound like my cup of tea. I don't care for reality television, and I need some light/hope/positivity to really enjoy a book. So, I don't think I would like this either. Thank you for your comment. I think there's something for everyone in the world of reading. This just wasn't for me. If you are intrigued, at the risk of sounding like a fake book lover, just go see the movie without reading the book. Ha!